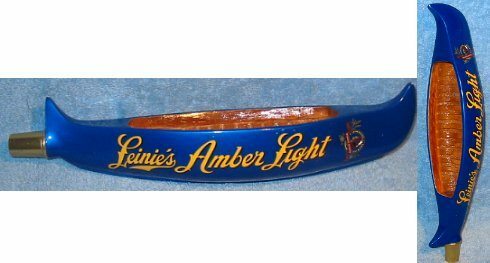 Leinie’s Amber Light beer figural canoe; 13 1/2 inch, 2-sided, decal on painted composition. Nice metalic blue finish. This brew seems to be harder to get for these canoe taps. Unused.